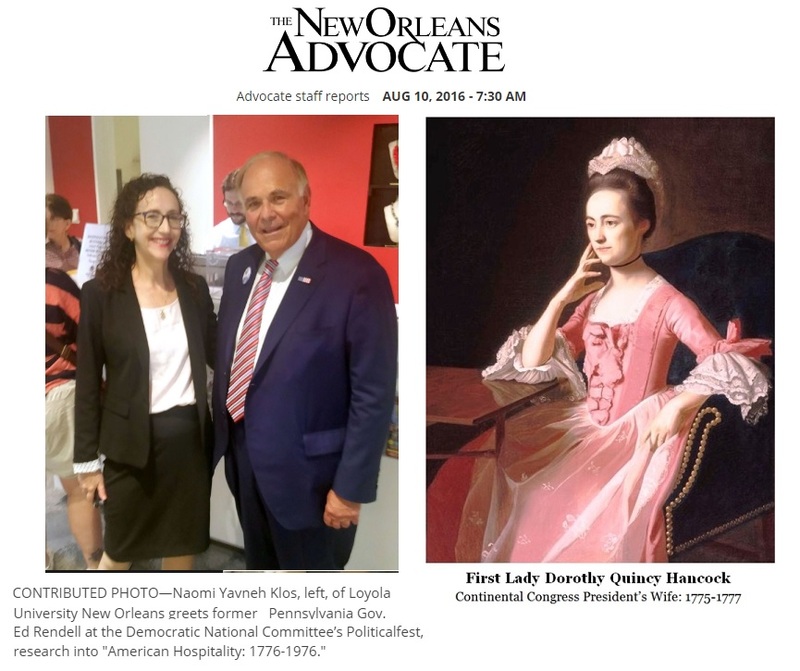 Historic.us is a non-profit Florida corporation dedicated to challenging the public to critically view history through the lens of original sources. Our mission is to develop, through original source exhibits, a respect for truth, the critical intelligence to seek it and a willingness to question pre-conceived notions and biases. We seek to awaken a public mindfulness to the importance of incorporating original sources into its examination of the historic record. Historic.us original source exhibits include displays on the Continental Congress & Revolutionary War; U.S. & State Constitutions; Real Estate; Women’s History & Suffrage; Civil Rights & Black History; Space; War of 1812; Mexican, Civil, Spanish, & World Wars; World Leaders; Article The First; U.S. Presidents & Hospitality. 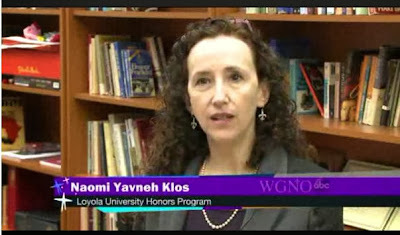 Naomi Yavneh Klos on the set of CBS unveiling the opening Rebels With A Cause exhibit. Our Clients include numerous Fortune 500 companies, associations, non-profits, colleges, universities, national conventions, public relations and advertising agencies. Contact us to learn how you can join our "roster" of satisfied clientele by booking an original source exhibit and a professional speaker for your next event. Universities, colleges, historical societies, and libraries represent the bulk of our bookings. Other client exhibitions include: Carnegie Institute, Clara Barton House, Fort Pitt Museum, James Madison's Montpelier, James Monroe Foundation's Birthplace, MGM Grand Las Vegas Hotel, National Collegiate Conference, NY Hilton Hotel, Smithsonian "The American Presidency: A Glorious Burden”; Thomas Jefferson's Monticello, Waldorf=Astoria, DNC & RNC Conventions, LA, VA, WV, & U.S. Capitol exhibitions. 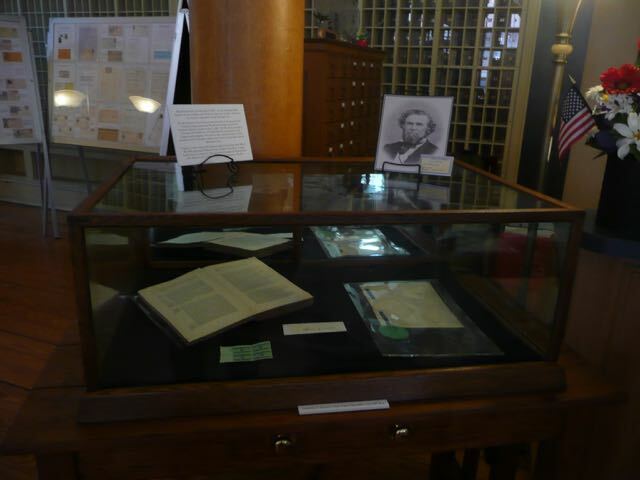 Original Source exhibits are available for display in your community. The honorarium ranges from $1,000 to $35,000 depending on length of time on loan and the rarity of artifacts chosen. 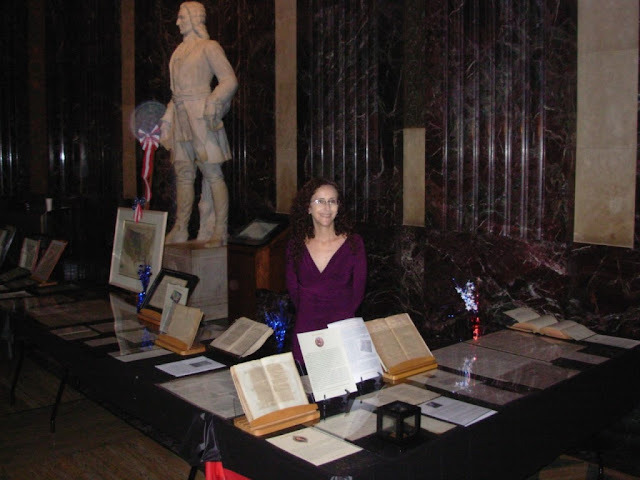 Dr. Naomi Yavneh Klos hosting the Louisiana Original Source Exhibit at the State Capitol Building for the 2012 Bicentennial Celebration. 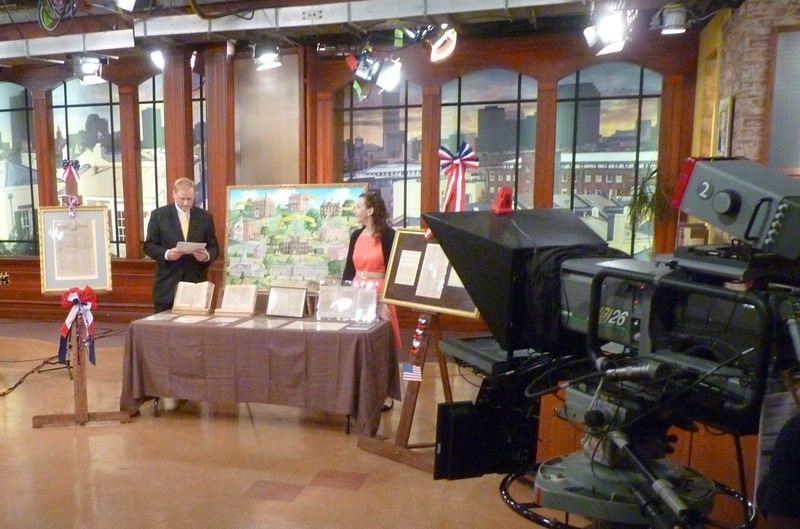 Book an original source exhibit and a professional speaker for your next event by contacting Historic.us today. Our Clients include many Fortune 500 companies, associations, non-profits, colleges, universities, national conventions, pr and advertising agencies. 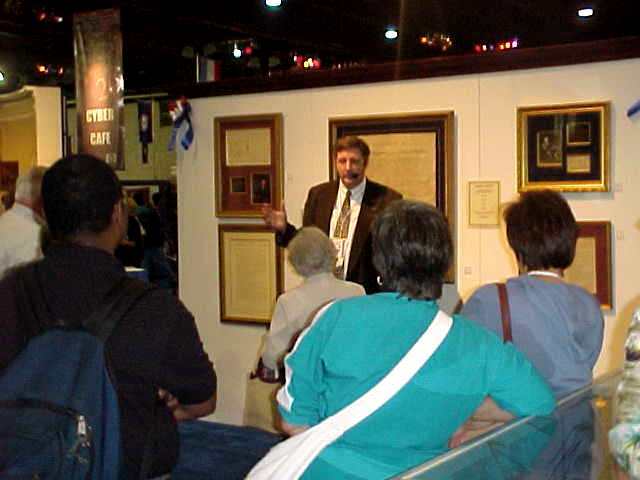 As an exhibitor of original sources, many of our clients have benefited from our historic displays that are designed to entertain and educate your target audience. Contact us to learn how you can join our "roster" of satisfied clientele today! 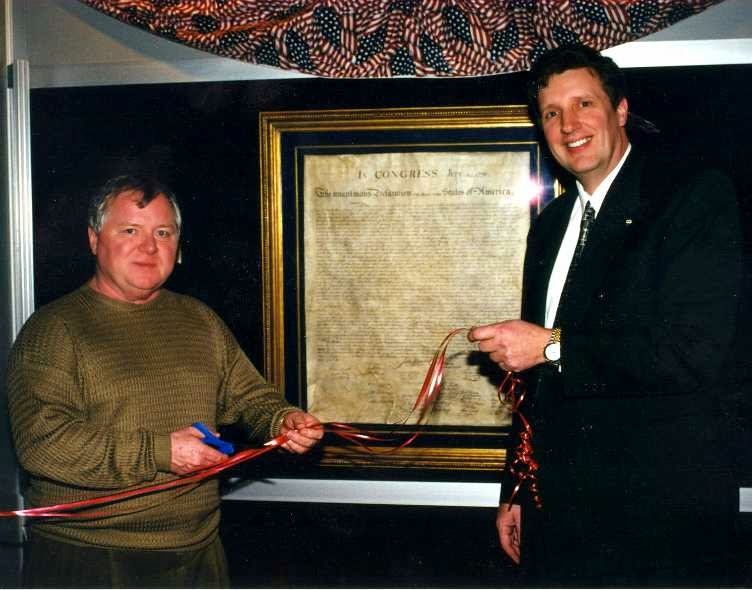 Stan Klos with Dave Liniger, RE/MAX International's Chairman of the Board at the MGM Grand Hotel in Las Vegas, Nevada opening his Rebels With A Vision Exhibit. In the background is William J. Stone's engraving of the Declaration of Independence.